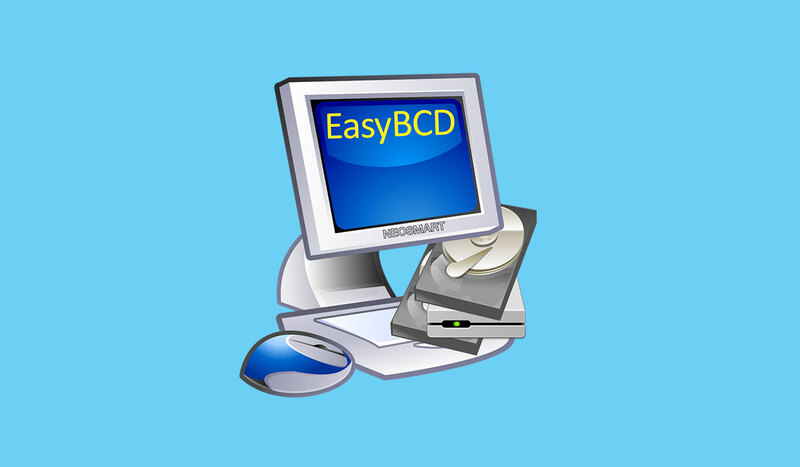 EasyBCD is a free BCD (Boot Configuration Data)/Boot Menu editing software. 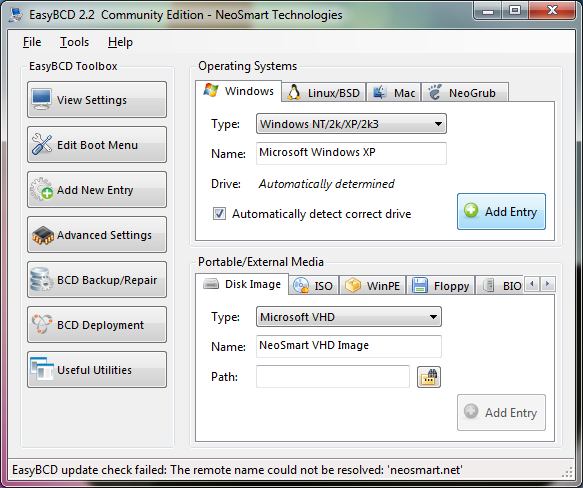 It is very user friendly and you can add any entry manually to the BCD file or bootloader. It is laden with lots of features which are available only in other paid software. It is the best software to dual boot or multi boot your PC. Adds entry to the boot menu. Can make default any of the operating systems installed on your pc. 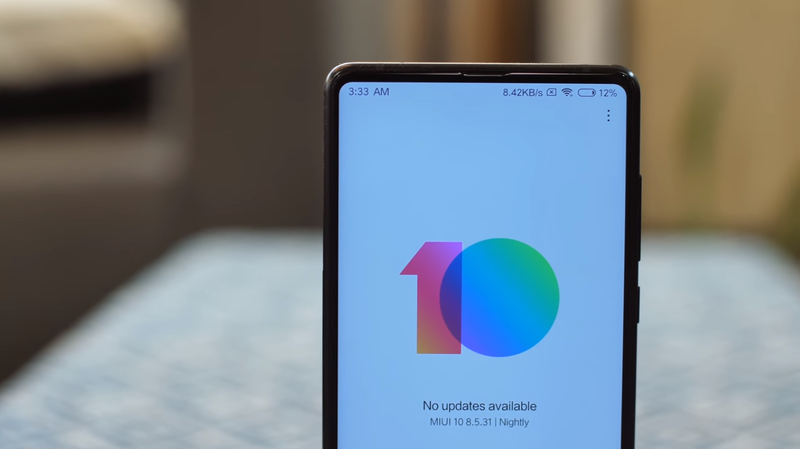 Can be used to edit other boot options. Can boot any file from the memory or external drive. Supports Windows, Mac OSX and Linux. Start EasyBCD >> Click on Add New Entry tab >> Under Operating Systems select the OS you want to add to the boot menu >> Mark Automatically detect correct drive or you can choose the drive manually >> Click on Add Entry button. 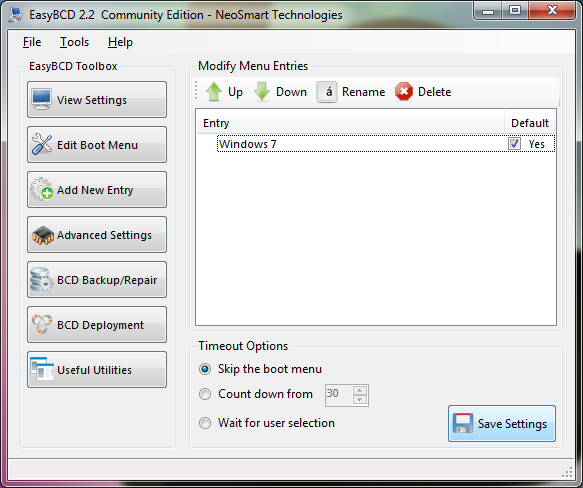 Start EasyBCD >> Click on Edit Boot Menu tab >> Mark the Operating System under Default >> Click on Save Settings button. Backup your BCD before making any changes to it. 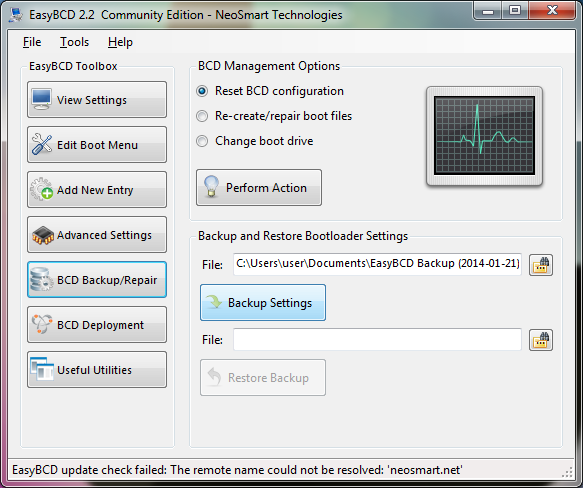 Start EasyBCD >> Click on BCD Backup/Repair tab >> Under Backup and Restore Bootloader Settings select the destination folder to save the BCD >> Click Backup Settings button. If you get any problem in following the above steps then please comment. You can also go through my another post: How to Dual Boot a PC.